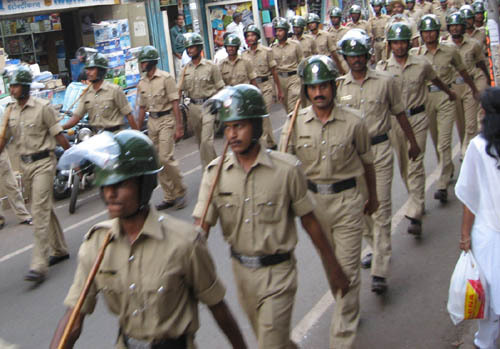 The police today did a flag march on the major roads of the city and also sensitive areas. The major notable factor was the presence of Kerala Police. About 5 vans of Kerala police were seen.